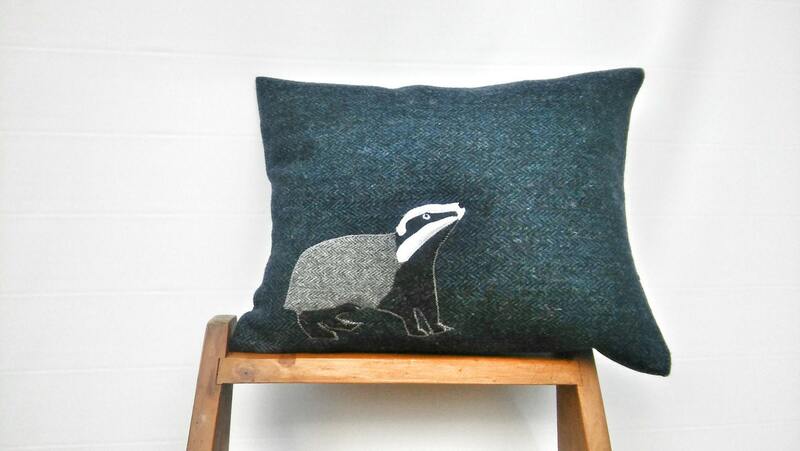 Hand crafted Badger cushion made with Harris Tweed. 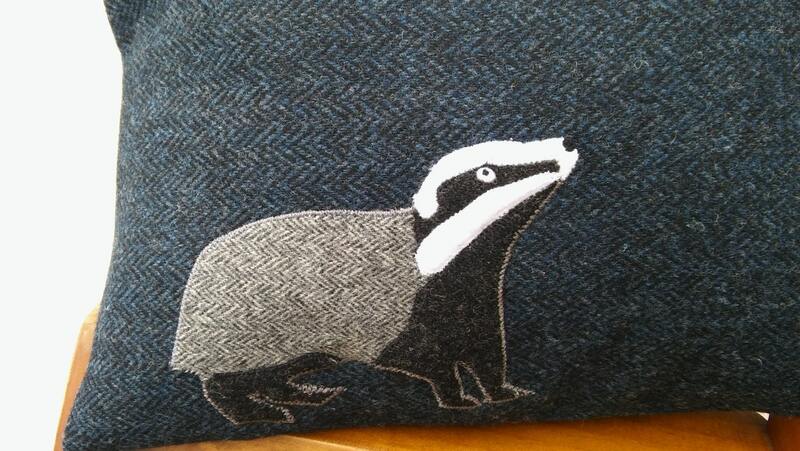 The badger is hand drawn, cut from wool and felt and embroidered onto the cushion. 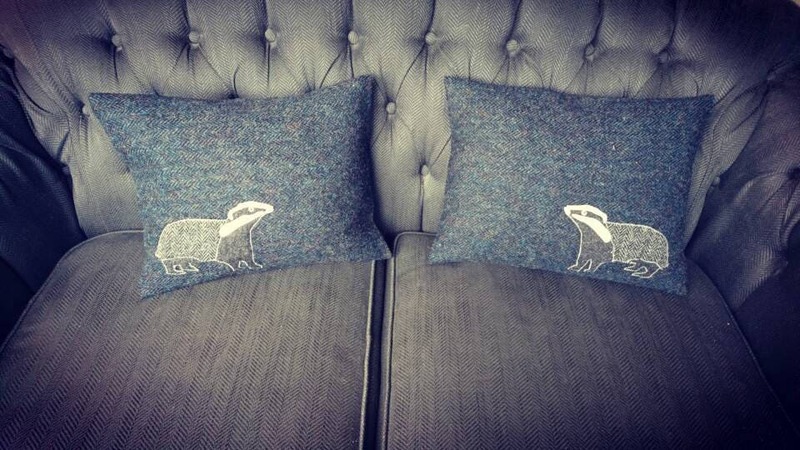 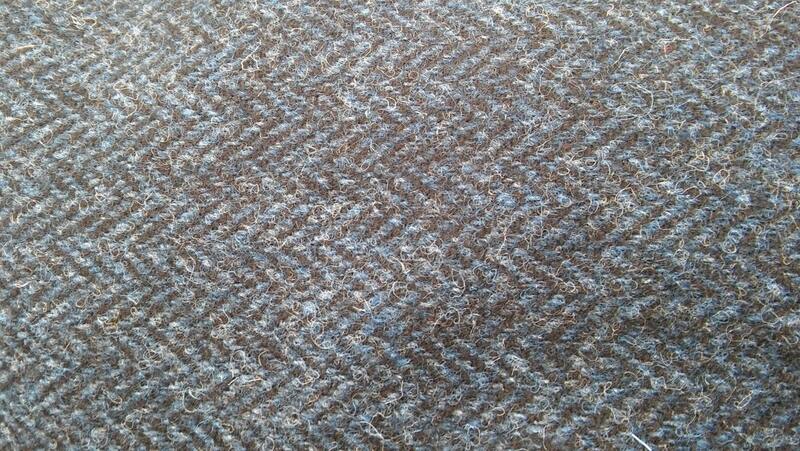 This handmade cushion is made with classic navy blue herringbone hand woven Harris Tweed. 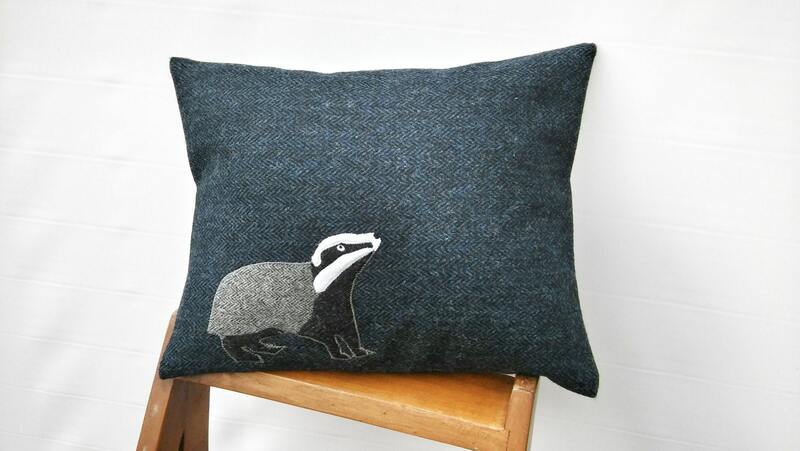 This cushion cover would fit 18 by 14 inch inner (not included). 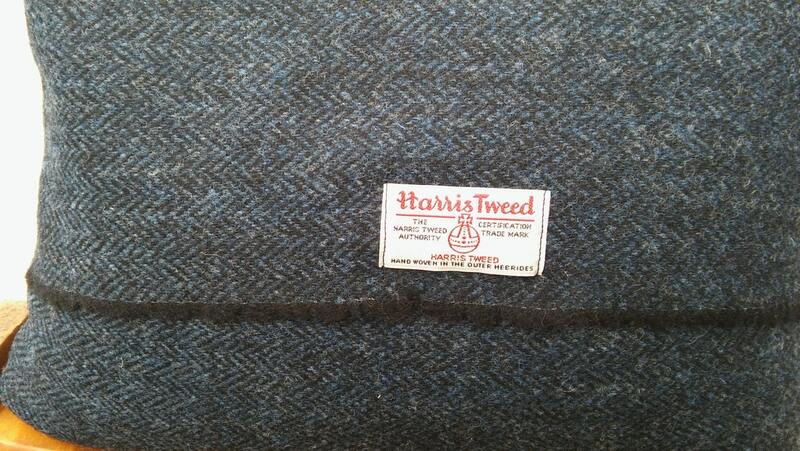 There is an envelope style opening at the back.